After 15 months away, our hearts grew fond for the vocal stylings of journalist and podcaster Josh Gross which is why we welcomed him back to the latest Josh Nason's Punch-Out with open arms. - We then transition to Sunday's surprise news that Floyd Mayweather is going to fight on RIZIN's New Year's Eve show against a dangerous kickboxer...but with no idea on rules, rounds, or anything else. Also, who's paying for all this? 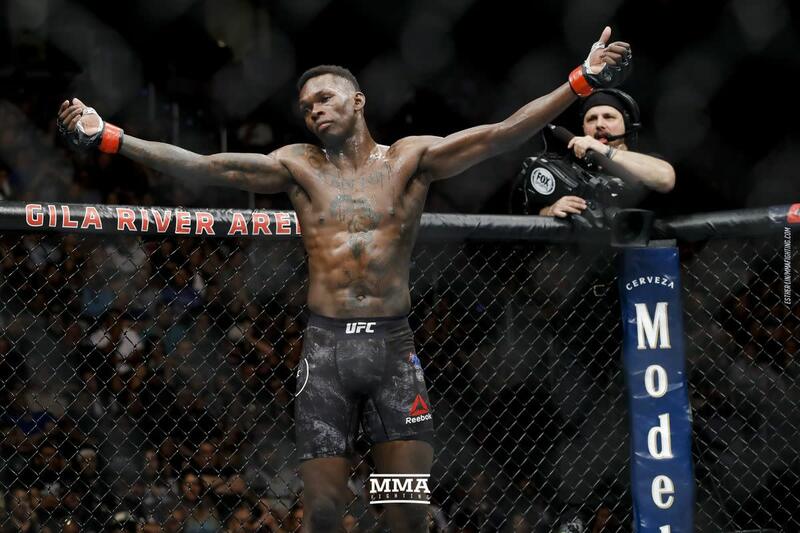 - We then take a look at what's next for the winners and losers for UFC 230 including possibilities for Israel Adesanya (seen above) and Chris Weidman. - We attempt to answer why Jon Jones would even entertain a third fight with Daniel Cormier at this point. - We then wrap up a quick look at this Saturday's UFC 25th anniversary show in Denver, an affair that doesn't feel like a big celebration at this point.